Gin and Tonic lovers will be in heaven this bank holiday with the first ever Annual Gin Festival taking place in Northampton. 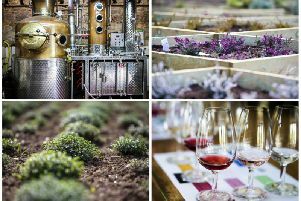 Taking place at the Market Tavern in Northampton, gin producers locally, nationally and internationally will be available to try at the event starting on Friday May 26 and finishing on Bank Holiday Monday May 29. There will be more than 30 gins to try with many of them coming from Northamptonshire based Warner Edwards. And people will be hoping for a hot day as there will also be a Gin and Tonic ice pop available. Warner Ewards is a firm which is stocked at several major retailers including Waitrose, Marks and Spencer and Amazon. They make gins with several flavours including elderflower and rhubarb gin. It follows on from a real ale festival held at the same venue in April. For further information about the event call 01604 602121.